Reva Zimmerman, MSc, CCC-SLP, is a PhD student and research SLP on the Aphasic Comprehension study in the Aphasia Research Lab. 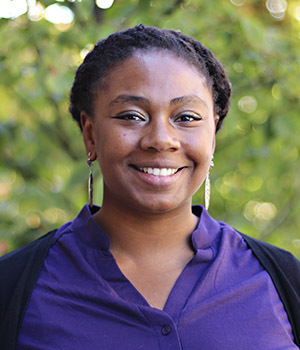 She serves as a research associate on a multi-site study exploring conflict resolution and short-term memory in aphasic comprehension (PI Malcolm McNeil, Ph.D., VA Pittsburgh). Reva also coordinates UW student volunteers for the Young Adult Stroke Survivor group. In her free time, she enjoys chasing her toddler, dancing, and engaging in activities to uplift POC communities in Seattle.